Welcome to the 1st edition of the all about dog training blog carnival. It's an exciting moment here at naturaldogblog - an experiment come to fruition. Now, I have to be honest here - I only got ONE submission (other than the article I just wrote for this blog carnival edition). Not exactly the huge turnout I was expecting - so I might actually solicit articles for the next edition directly from training blogs. 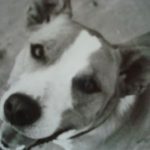 However, it is an interesting tale about dogs and our relationship with them, told by someone half-way around the world - and worth a read, especially in the spirit of blog carnivaling (it does mention "pus" however, so don't be squeamish)! Sidhusaaheb presents A friend indeed posted at I, Me, Myself. This is the article I was just telling you about. Check it out, and let Sidhusaaheb know that you found him from this blog carnival! For this blog carnival edition, I wrote the following article: Dog Training: One great workout that teaches your dog to fetch and come to you enthusiastically posted at Natural Dog Training Blog. It's a new game, an extension of our discussion about tug-of-war, that you can play with your dog. Playing this game will give your dog some great exercise, while play training them into being more and more attracted to you at higher levels of emotional energy. Thanks for coming to the first edition of the "All About Dog Training" Blog Carnival. We'll make the next edition even cooler! 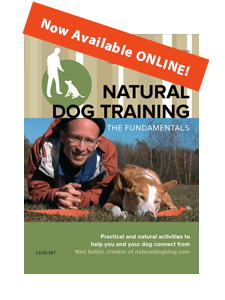 Dog Training: What is Natural Dog Training anyway? nice post! the info is very relevant. you may find this website on dog travel supplies also interesting. thanks! keep it up! god bless!